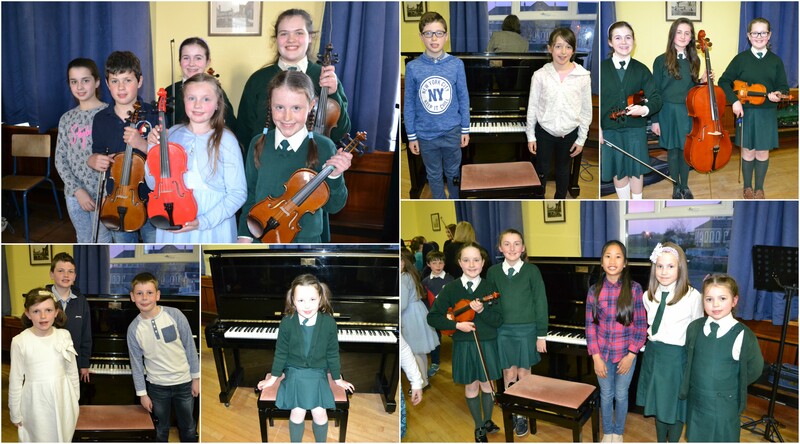 On Wednesday 20th April, St Angela’s hosted a musical evening for all primary school and external students who take music lessons with the Academy. It took place in the assembly hall of the Scoil Angela Primary School and was very well attended. More than sixty students were involved in the concert, performing solos in piano, violin, cello, flute, clarinet and voice. There were also performances by the pre-instrumental group classes, Cara Awards Levels 1 and 2, and by the Junior Traditional Group. Congratulations to all the students who took part!